A major barrier in solving the problem of abuse is that many coaches are not clear what behaviors constitute maltreatment or abuse. Most recognize that behaviors once considered by many to be acceptable are now considered to be racist, sexist, harassing, or abusive. No wonder coaches are confused about not only what not to do, but what to do. When the people who should be guiding young athletes are emotionally, physically, or sexually abusive, a hostile and destructive environment can occur. This can erode self-esteem, confidence, and trust not only by the players, but by parents as well. 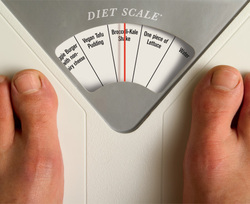 Some school-age athletes face unique pressures involving nutrition and body weight. In sports such as football, kids may feel they need to radically increase body weight. In other sports such as wrestling, kids often try to achieve maximum strength at the lowest possible weight, which can lead to crash dieting and other harmful eating habits. In either case, your best bet is to emphasize performance. Healthy eating supports healthy performance. Unhealthy eating leads to lower strength and endurance and poor mental concentration. Consider the example of wrestling. To qualify for the lowest possible weight class, wrestlers sometimes try to spit, vomit, or sweat enough water from their bodies to make the weight. "They think they can do without the water," Donze says, "but muscles are 75% water. Without water, muscles lose much of their effectiveness." Similar performance issues arise when kids try to increase their weight too fast. When a person overeats, the food the body cannot immediately use gets stored as fat. As a result, kids who overeat may gain weight, but their physical fitness will be diminished. the relationships people have with each other." 3. Provide positive feedback with clear instruction.